Need a new room for a new child or a home office? Want a deck or enclosed porch where you can enjoy your morning coffee while taking in the view? Or would you like to add a fully-functioning apartment in your basement, and increase your income by renting it out? All of these home additions in Vancouver, WA will increase the value of your home as well as improve its functionality. At Scherer Enterprises we can make it happen. Building a home addition can give your home a brand new feel as well as add amazing functionality. Adding a garage, for example, adds value to your home, increases your storage space, and protects your car from the elements making your house feel like an extravagant custom home. For aging family members, adding ramps and ease of access to the home may extend the time they are able to live with you. Custom bathroom remodeling or a new kitchen remodeling job can mean the difference. Adding a home theater space or giving the kids each a room of their own are more ways that home additions can improve the way you live. The possibilities are endless with the help of a remodeling contractor in Vancouver, WA: an art room, a soundproof attic for music lessons, a chicken coop…and more! 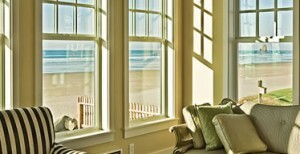 At Scherer Enterprises we strive to make your home addition just as you imagined it would be. We spend time with you looking at the space, talking to you about your needs and desires for the area, and discussing all the possibilities. You get to be a part of the design or remodeling in Vancouver, WA process. And, of course, nothing begins until we have the plans for your home addition approved by you. Our skilled contractors can work on any variety of home additions. They are also able to scale the design to fit your budget and needs. Besides larger-scale home additions, Scherer Enterprises can also do small jobs like adding doors, siding, and windows to your Vancouver, WA home. We even do roofing and field mowing. 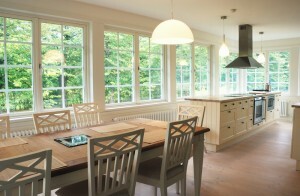 Many of these options can add to the energy efficiency and safety of your home. Not only that, but ask about our eco-friendly materials and building options. We care about the environment and are eager to use green building choices. Why go to the discomfort of buying a new home and moving when you can have the beauty and functionality you need right where you are? Increase the value of your home while creating new space with a home addition. At Scherer Enterprises our contractors have the testimonials to prove their skill at home additions. We have been a trusted name for construction and remodeling in Vancouver, WA for many years. Our work is honest, our communication is open, and our pricing is upfront and more than competitive. That is why people come to us again and again—and they tell their friends! 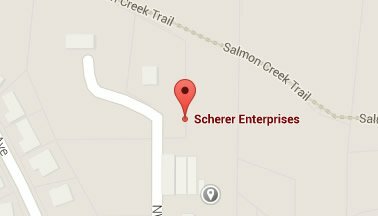 Contact Scherer Enterprises today to discuss the options for your home addition in Vancouver, WA and the surrounding areas.